We are the #1 Provider of Affordable and Convenient AIT At Home Services! Contact Us for a Free AIT Checklist and to start AIT At Home! 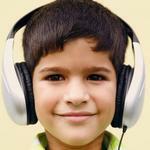 The AIT Institute has facilitated AIT listening therapy for hundreds of families since 2004! Supervised At Home AIT Sessions AIT Sessions consist of 20 sessions (10 hours) of 30 minutes each, done twice a day, over 10 or 12 consecutive days. This affordable service is available in throughout the USA, Canada, Australia, New Zealand, the United Kingdom, Europe and to English speaking clients in certain other countries. Affordable AIT At Home uses our equipment for 14 days and is completed in the home environment. Family discounts are also offered. Contact us to learn about At Home AIT Services and to complete a free online AIT Checklist! Note: AIT is now done in the home environment with no need to travel to an office for services. Practitioner Supervised AIT At Home Services: AIT is music therapy has been used for more than 50 years worldwide and is clinically proven to be effective. Convenient home based AIT services are Practitioner supervised and supported by email. The required ten (10) consecutive days, 20 sessions of AIT may now be completed in the convenience of your home or office. AIT services are now both more affordable, much less stressful for parents or participants and without the need to remove a child from school or an or adult from work to complete AIT sessions. No travel or travel expenses are required! AIT At Home Service Locations: This affordable At Home service is available in throughout the USA, Canada, Australia, New Zealand, the United Kingdom and Europe plus certain other locations where the participant is fluent in English spoken and reading skills. All required paperwork to begin AIT and instructions for the At Home AIT program are written in English. AIT Protocol: We use the newest computer based system that accommodates AIT At Home services. AIT sessions consist of 20 sessions of 30 minutes each (10 hours) over 10 or 12 consecutive days. There is a minimum of 3 hours between the two sessions done each day. AIT At Home Service Locations: This affordable At Home service is available in throughout the USA, Canada, Australia, the United Kingdom, Europe plus certain other locations where the participant is fluent in English spoken and reading skills. All required paperwork to begin AIT and instructions for the At Home AIT program are written in English. Prices For Supervised At Home AIT Services: Prices will be provided upon submission of your inquiry. Family discounts apply if more than one family member completes AIT during the same sessions. Affordable payment plans for supervised home based AIT are available. Audio Tests For AIT: Audio test are not required AIT to be very effective. AIT is used without an audio tests for children or adults with autism, children under age 6 or those who can't comply with our On-Line Listening Test, which is sensitive hearing test. AIT works remarkably well on all populations, regardless of whether or not a Listening Test is done. Minimum Age For AIT: The minimum age for AIT at home is about age 3. All participants must be able to wear and keep on head phones for each timed 30 minute session for AIT to be successful. Clinical Studies On AIT: Read more about the success of AIT in more than 28+ AIT clinical studies. 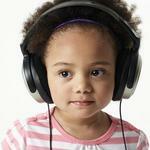 We also offer a FREE on-line Listening Test to qualified candidates. This test will check for for peaks and valley in hearing thresholds at ten (10) frequencies in both ears. Read more about audio testing. Step 1: Complete the Contact Us Form. Step 2: Complete the comprehensive AIT Checklist. We will review the numeric score and data for candidacy for AIT At Home services. The AIT Checklist saves valuable time and saves the cost additional time with a Practitioner to review a written questionnaire or evaluation. If you live have completed the AIT Checklist that indicates the need for AIT, you will automatically qualify for AIT At Home Services. Step 3: Optional Consultation: To discuss a scored AIT Checklist and/or Listening Test in person and have your questions answered about AIT, you may schedule a 1 hour personal phone or skype consultation for $150. We will review your scored AIT Checklist and the online Listening Test if completed and answer your questions about AIT, then help you schedule AIT At Home sessions. Step 4: Payment For Services: Prior to beginning AIT, clients will be required to sign a contract for AIT services and complete a credit card authorization for payment in full in advance. This will reserve the AIT system we loan for your use for a14 days period required for AIT At Home sessions. Affordable payment plans are available for AIT services for those in financial need. Step 5: Schedule AIT At Home Services: There is currently a high demand for for At Home Services and it may take up to one (1) month for an AIT system to be available. Step 6: Begin AIT: Everything you need for AIT At Home is conveniently shipped to you by express mail. The equipment may be kept for a maximum of 14 consecutive days before it must be return by express mail. For clients in the USA, the cost of receiving the equipment by US express mail and the cost of its prepaid return is included in the fee for your convenience. For clients outside the USA, we pay for shipping to the client, and the client pays for express shipping back to us. Clients will receive detailed written instructions on AIT Treatment Guidelines and Precautions For AIT to ensure the optimum success for the client's AIT Sessions. If AIT is for a child, please also read and print this article Preparing Your Child for AIT. In some cases, the Director may advise clients to begin certain nutritional supplements to support the body for optimization prior to, during and after AIT Sessions. Successful AIT requires that the clients ears are healthy. This mean no impacted wax and no current or active ear infection symptoms. AIT Protocol requires that sessions are done two (2) times daily, for 30 minutes each over 10 consecutive days. There is a minimum of 3 hours between daily sessions. All Clients must complete the AIT protocol as directed, uninterrupted for expected gains. Customer and technical support by email is available for questions that may arise during At Home AIT Sessions during the 10 consecutive days and is included in the fee. Watch Videos About Success with AIT!